Sprinklers of middle or high capacity, for medium and high pressure systems, rotating at uniform speed over a full and part circle. 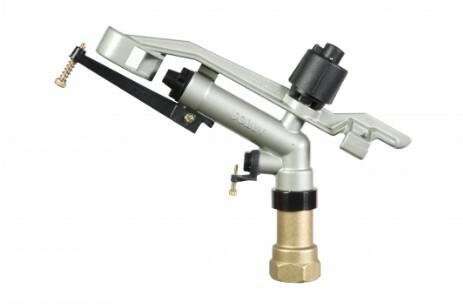 It is equipped with interchangeable nozzles of different size and an adjustable jet-breaker, providing an uniform distribution of rain all over the irrigated area. The singular evenness and lightnes of watering make it particularly suitable for the irrigation of delicate plants such seedlings, flowers and vegetables. 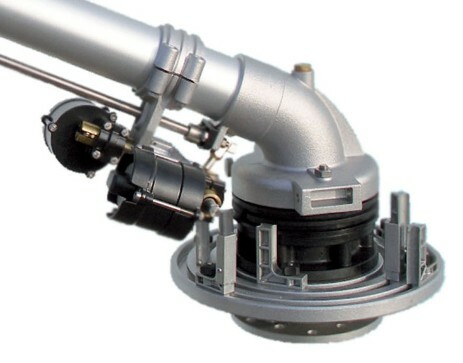 Sprinklers of middle or high capacity and pressure rotating at full circle or parts circle, with slow return. 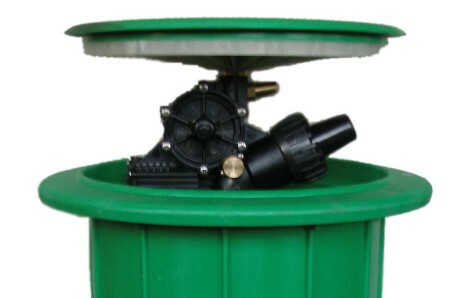 Particularly suitable for all types of watering machines can be used also for center pivots and normal installations. An intermittent and adjustable jet-breaker working only on the return, allows to get an uniform distribution of rain fall all over the irrigated area. It's operation of entirely new conception, prevents any vibrations and counterstrokes, granting absolute safety to the user. Sprinklers of small and medium capacity for full or part circle operation, equipped with an adjustable jet-breaker which allow a good rainfall all over the wetted area. They are suitable for irrigating mixed crops, orchards, fruits, gardens, playgrounds and frost protection. 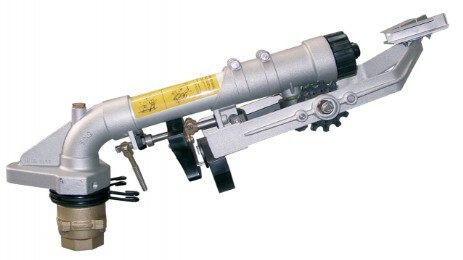 Irriguns manufactured with special strong materials, to grant the best duration. 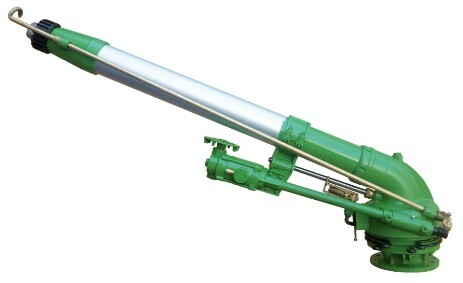 Particularly suitable for corrosive and mines liquides, fertilizer, waste water and animal sewage. Sprinklers for sportfields. Manufactured as a big irriguns, it allows a large radius of irrigation and can be used on sportfields for football-rugby-hockey-soccer - baseball. The large radius allows the installation at the external of the fields, avoiding damages for players at the internal. 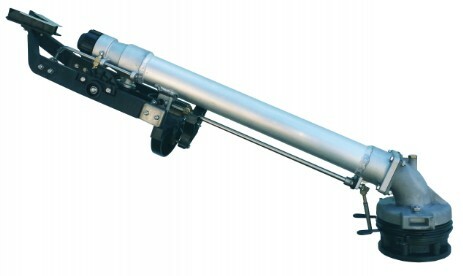 It can work with high pressure for maximum distance. 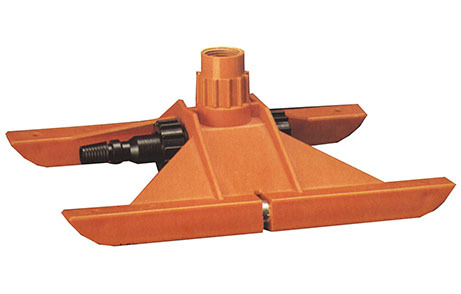 A special internal rubber folding top, avoids the passage of powder, sand and dirty water around the telescopic pipe. 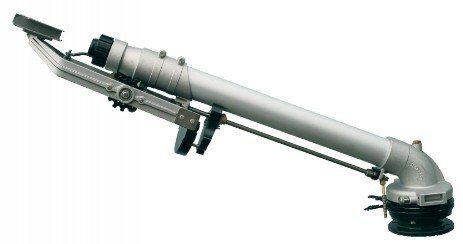 1-2 timer timered systems, granting easy utilization and precision of angle. Stoppers for angles are positioned on slideways, allowing different angles of irrigation of any width. The system ensures irrigation on fields of several shapes or with inner obstacles (houses, sheds), allowing economy of water. Sprinklers of medium capacity equipped with interchangeable nozzles and with adjustable jet-breaker providing a fine and uniform distribution of water all over the irrigated area. The great simplicity of the mechanisms and the large versatility of use are amongst their main features. In fact, these sprinklers can be applied to any type of installation, in all kinds of land and cultivation. Fittings facilitating sprinklers fixing and employment.